Fits all popular size oars. Bright zinc plated steel resists rust. No drilling necessary. Fastens se..
Oarlock and socket. 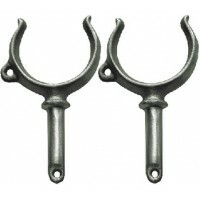 Malleable iron, galvanized. Horn ID 2-1/8". Shank ID 5/8". Card: 1 pr..
Malleable iron. Horn opening is 2-1/8". Standard straight shank. Shank diameter is 1/2". 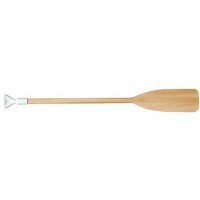 Card: 1 pr..
An economical wooden boat paddle for those interested in price alone. Varnish finish. 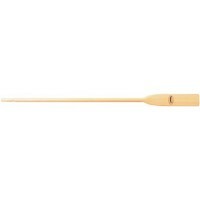 Length: 2-1/2'..
An economical wooden boat paddle for those interested in price alone. Varnish finish. Length: 3'.. Economical price with superior fit and finish. Palm Grip, lightweight and efficiency make the "R" Pa..
An economical wooden boat paddle for those interested in price alone. Varnish finish. Length: 3-1/2'..
T-Grip. The shaft is made of super strong, lightweight, silver anodized aluminum that extends fully ..
An economical wooden boat paddle for those interested in price alone. Varnish finish. Length: 4'..
Economy paddle with a plastic clad aluminum shaft and palm grip. Color: BlackLength: 4'..
An economical wooden boat paddle for those interested in price alone. Varnish finish. Length: 4-1/2'..
Economy paddle with a plastic clad aluminum shaft and palm grip. Color: BlackLength: 4-1/2'..
An economical alternative to the varnished oar. Very economical price. Approximate blade dimensions:.. Select wood, great balance and excellent workmanship. Varnish finish. Approximate blade dimensions: ..
An economical wooden boat paddle for those interested in price alone. Varnish finish. Length: 5'.. Features a fully aluminum reinforced, high impact olive drab blade with matching T-grip and plastic ..
Economy paddle with a plastic clad aluminum shaft and palm grip. Color: BlackLength: 5'..
An economical wooden boat paddle for those interested in price alone. Varnish finish. 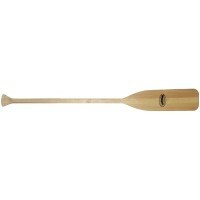 Length: 5-1/2'..
An economical wooden boat paddle for those interested in price alone. Varnish finish. Length: 6'..
Black plastic-clad, super strong aluminum shaft that extends fully into the blade's length for inter.. Economical synthetic boat paddle, 1" aluminum shaft, T-Grip handle, 6-1/8" synthetic blade. 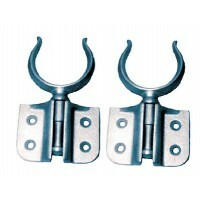 A UPS/Fe..
Clamp-on oar locks zinc 1pr/cd Card: 1 pr..
Deluxe paddle 4 1/2 ft. Length: 4-1/2'..
Deluxe paddle 4 ft. Length: 4'..
Deluxe paddle 5 1/2 ft. Length: 5-1/2'..
Deluxe paddle 5 ft. Length: 5'..
CAVINESS® Power Grip, lightweight, economical, and even distribution of flex load are the reasons th..
Red power grip included. Made of select woods with two sides of the blade laminated for added beauty..